The story of our school begins in 2002, when Estonia had a new development plan for vocational education and the Ministry of Education had excluded vocational education in Lääne County from its thoughts as well as its budgetary plans. The Taebla Vocational Secondary School was erased from the map. However, the local community did not agree with this. 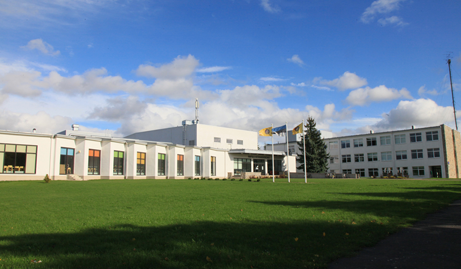 People came together and decided that vocational education in Lääne County must be preserved and a new school must be established, located in Haapsalu or its close proximity. The foundation Vocational Education in Western Estonia was established, a concept and strategy were developed. Entrepeneurs, Lääne County Association of Local Authorities, Haapsalu, Ridala rural municipality, county government, development centre and the vocational school´s team – everybody did their very best for the birth of a new school.